The White House issued a fiery response Monday to Democrat demands for over 80 people connected to President Donald Trump to hand over documents for investigation. “Chairman Nadler and his fellow Democrats have embarked on this fishing expedition because they are terrified that their two-year false narrative of ‘Russia collusion’ is crumbling,” White House Press Secretary Sarah Sanders said in a statement on Monday evening. Sanders dismissed the investigation into “tired, false allegations” that she said were already part of the Special Counsel investigation led by Robert Mueller. She criticized Democrats for trying to distract from their disastrous policies like economic socialism, infanticide, and the Green New Deal rather than work to fix the country’s problems. “The American people deserve a Congress that works with the president to address serious issues like immigration, healthcare, and infrastructure,” she said. 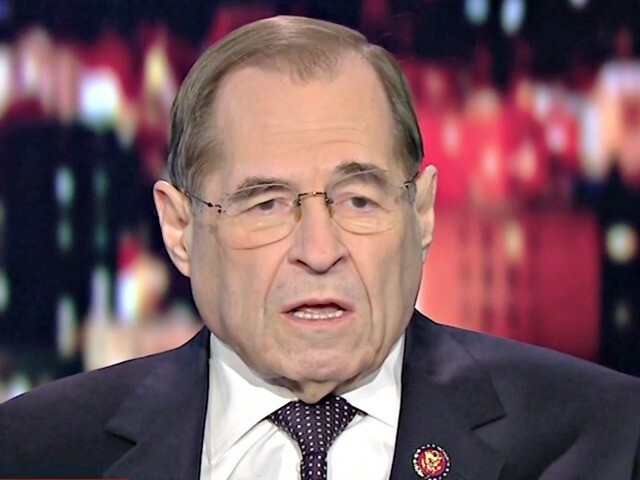 House Judiciary Chairman Jerry Nadler appeared on CNN Monday night to discuss his investigation. “For two years, the Trump administration has been attacking the core functions of our democracy and the Congress has refused to do any oversight,” he said. But Sanders dismissed the Democrat effort as a partisan exercise.